Did you know that the average time it takes for someone to become a master at something takes 10,000 hours? There’s no coincidence that the saying “Practice makes perfect” is often the most used in regards to mastery. Malcolm Gladwell’s book Outliers is the first book to mention this 10,000 hour rule. It’s also proven too. The Beatles practiced in Hamburg, Germany for 5-8 hours a day for about 4 years. They had more showtime in 4 years then most bands have in their entire lifetime. Only after they practiced so deliberately, they came back to England and the rest is history. No one really likes to acknowledge that it takes hard work to become good at something. But there’s no other way around it. People don’t just have natural knacks for certain skills. They refine those skills more and more until they’ve spent at least 10,000 hours on it. Before Zuckerburg even thought of creating Facebook he already had well over 10,000 hours of programming under his belt. How about Steve Jobs? Jonathan Ive? Head designer at Apple who worked with aluminum to design many of Apple’s products, including the MacBook Pro, iMac, MacBook Air, iPod, iPod touch, iPhone, iPad and iPad mini. Of course no one can be sure if the magic number is 8,000 hours or 15,000 hours. However we know for a fact that 10,000 hours of practice in one area will make you a master at it. Whether you’re a basketball player, programmer, singer, guitar play, or designer, practice is necessary. What’s important to understand about the world and the way that things work out is that no one is just good at something. We like to imagine a world where 99% of the richest people in the world got there through luck or manipulation. The striking surprise is that it was neither of these. Hard work and determination got 99% of successful people to where they are. There’s no away around that. So what does this mean for your life? For your Fiverr endeavors? It means that if you’re not practicing your skills and improving at what you’re not good at, you’re never going to make any progress. Whether this relates to delivering gigs on Fiverr or your hobbies or your job, it still applies. Mindless repetition and staying in your comfort zone isn’t going to make you become a master. You can spend 20,000 hours repeating a task you already know how to do, you might spend it teaching others how to do it, or you might watch someone else do it, but it’s not going to help you get to where you want to get. Practice does make perfect. But in theory only good practice will make perfect. Practicing the wrong way isn’t going to make you a master at whatever skill it is. Bill Gates, the Beatles, Steve Jobs, Jonathan Ive, and everyone else who is a master at something spent 10,000 learning. Hard grueling work made them refine their skills and become a master at it. There’s no way around it. 10,000 hours is a lot of time. It’s about 4 hours five days a week for 10 years straight. If you don’t enjoy what it is you do, then you’ll never become a master at it. You’ll probably quite way before you even reach the 200 hour mark. That’s why you often see people become really depressed about their jobs or life sometimes. If they’re already 5,000 hours into their profession and the time they’ve spent getting the necessary degrees, then it can become really painful to try and start that process all over again. If you continue with whatever it is you don’t like, you’ll get in a stand still. A rough estimate of the average amount of work someone completes in their lifetime comes in at 85,000 hours. The point is if you’re counting the hours at whatever it is you’re doing, you’re not doing it right. If you want to learn more about what makes people focus on their goals enough to become successful at something, then you might want to watch this great RSA talk. It covers the three main motivators to do anything in life. Autonomy: You get to make the decisions and you have control over your life. Whether it’s financially socially, or otherwise, you want to control your life. Mastery: It feels good to be a master at something. You’re driven to become the best at what you can be. Purpose: Obviously there are 8 billion people on the planet now. Our only goal isn’t the same goal it was 10,000 years ago, to reproduce. Now we have our own personal purposes that can be anything from financial freedom, to spiritual enlightenment, starting a family, etc. So this is how I think hard work and success ties in with life. People need a purpose in their lives, they want to do something that gives them freedom, and they also want to be masters at something. All of these three points along with hard work and determination converges into a 10,000 hour ultimate goal. Whether you believe this is the true meaning of mastery or not, you will become a master at anything once you’ve reached this much practice. You have limited time on earth. 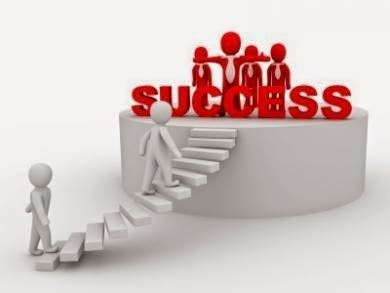 What will you become successful at? Another question you can answer for yourself is this: Some people are producers. Some are consumers. Both hold very prospective job opportunities. Businesses need advisers, websites need reviews, singers need critics, and so forth. Watching 10,000 hours of movies and shows isn’t all that useless if you become a film critique. In fact it will even help you become a director or script writer if you’ve analyzed the movies you’ve watched. It’s important to understand that not everyone has to produce something, but being a consumer is just as prospective. The question is which one do you want to be? Consumer or producer. *Note you can be both of those… But if you were to die tomorrow what would they put on your tombstone?